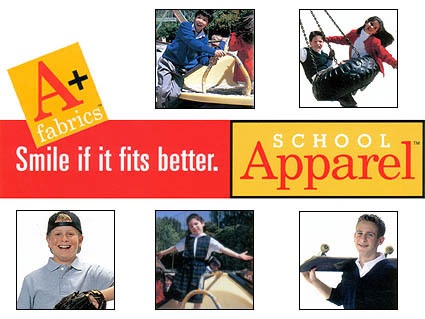 We carry a full line of in-stock uniforms for public, private and parochial schools. For girls, we have jumpers, skirts and blouses. For boys, we have knit shirts, pants and shorts. We also have jackets, sweaters and sweat shirts with embroidery or screen printing.